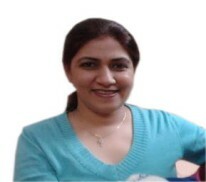 Dr. Lavleen Kaur Sodhi, MBBS, MD(Obs & Gyane), DNB, is the Director & Sr. Consultant - Obstetrics & Gynaecology, Infertility Specialist at Dr Sodhi’s Health Care Multispeciality Hospital & IVF Centre. She is also the visiting consultant at Fortis & MAX Hospitals in Mohali. Dr. Lavleen Kaur has an illustrious academic record to back her present competencies. She completed her MD in 1995 from the prestigious P.G.I- Chandigarh & her D.N.B.E from New Delhi, both in Obstetrics & Gyanecology and during her M.B.B.S, bagged the ‘Silver Medal’ in General Surgery in the final professional examination. Infertility management was always a special interest for Dr. Lavleen & she got trained in this speciality from the prestigious Melbourne IVF Centre at Ahmedabad, which is a premier infertility management institute in India and sharpened her skills in Laparoscopic Surgery at Joseph Nursing Home, Chennai. After completing her Senior Residency from P.G.I, she served as Class-1 Medical Officer with the Punjab Civil Medical Services and as Consultant in the Department of Obstetrics & Gynecology at the Guru Nanak Mission Hospital, Nawanshehar, Punjab. She also had an opportunity to serve as Senior Consultant at the Z.N. Sikder Women’s Medical College at Dhaka (Bangladesh). Today Dr Sodhi’s Hospital & IVF Center is flourishing well & is a respectable name in the field of Infertility Management & Treatment along with advanced Obstetrics & Gynaecological procedures. Other than IVF, Dr Lavleen also performs routine & challenging gynae surgeries, handles Obstetric Emergencies and runs a ‘High Risk Pregnancy Clinic’. In addition, she was also the convener of the Chandigarh Obstetrics & Gynaecological Society from 2010-2012.